Will You Miss LinkedIn Answers? 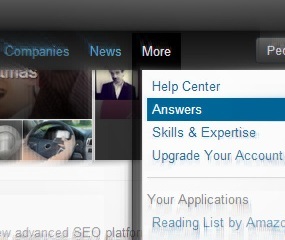 It’s official: LinkedIn is ending the LinkedIn Answers portion of their website. LinkedIn Answers had its problems, starting from the name. “Answers” is actually a question and answer forum, where business people could ask for advice in a variety of topical categories. In turn, professionals could answer questions in their area of expertise. Answers could be ranked for their helpfulness. And, answering questions was a great way for professionals to get exposure within the network for their areas of expertise. This was a feature that I often recommended that my social media clients use. It was a great way to share their voice and expertise without the commitment of starting a blog. I had limited success getting clients to actively participate, but I still think the end of the service is a loss for the LI network. ← How Can Social Media Help You Work Better?